I can't tell ya how excited I was participating in this flower crown workshop. You know every little girl's dream is to wear a flower crown. Real one. And that dream finally came true today. We learnt how to make a boutonniere as a basic and from there we advanced further in making our own autumn flower crown. 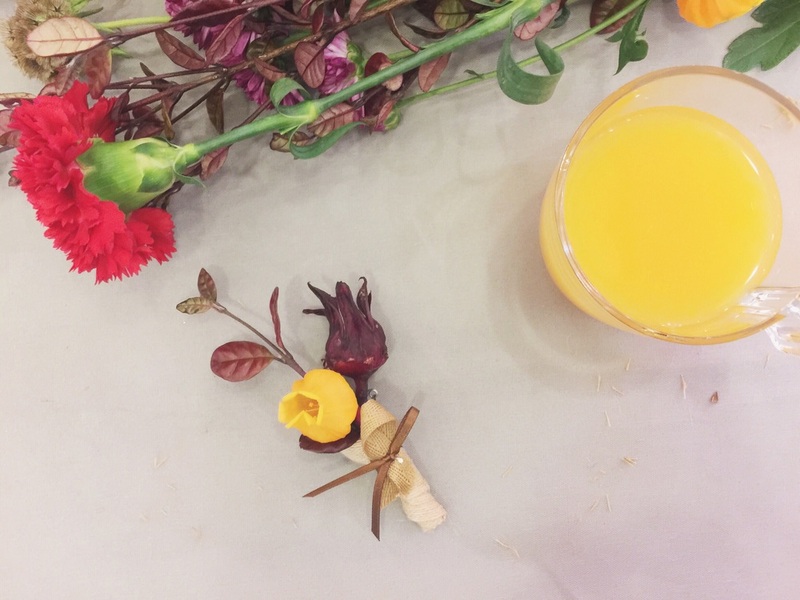 Imagine what you can make, a wreath, a bracelet, a hair piece... 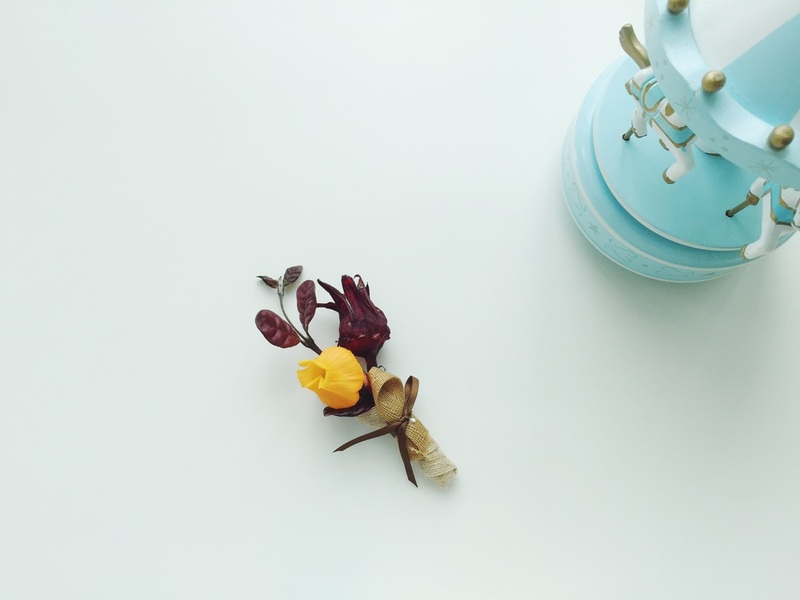 Using flowers. How pretty they would be. Baby mobile was my first project for the baby and I made three different sets of patterns months earlier but only got time *and will* to assemble one of them few weeks ago. 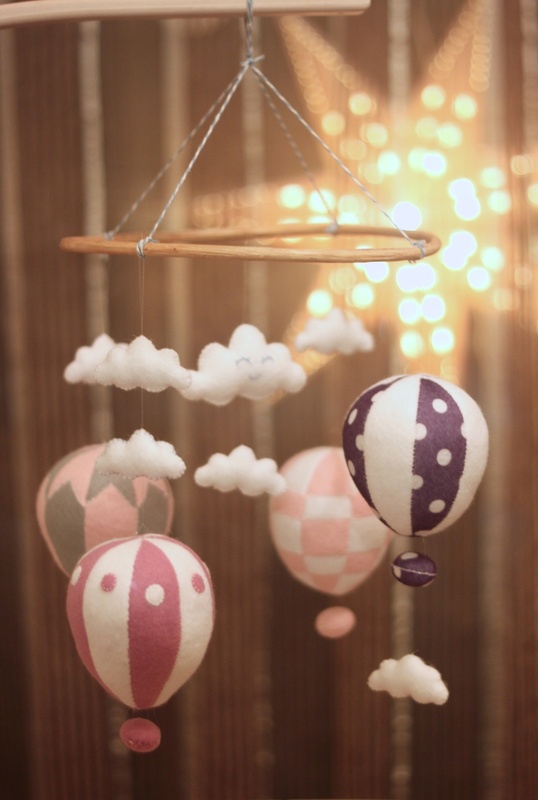 This one is the hot air balloon baby mobile made from felt fabric. My first time in hand sewing but so glad it turned out okay! Oh, don't you just love hand-making things and make it extra special? Nothing feels more magical yet real than hot air balloons floating amidst the cloud. Really adore this one simply because it took soooo long just to finish one single hot air balloon. 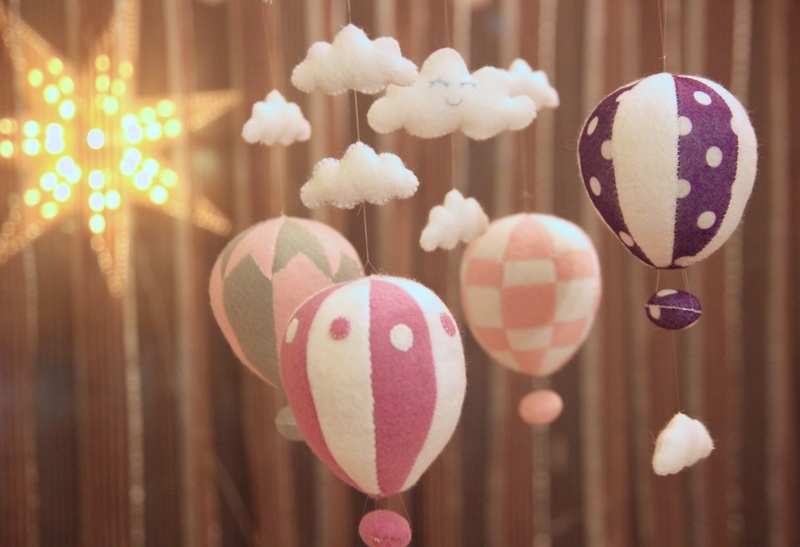 I feel so excited knowing that lil one will wake up and be greeted by the sight of these floating cuties.